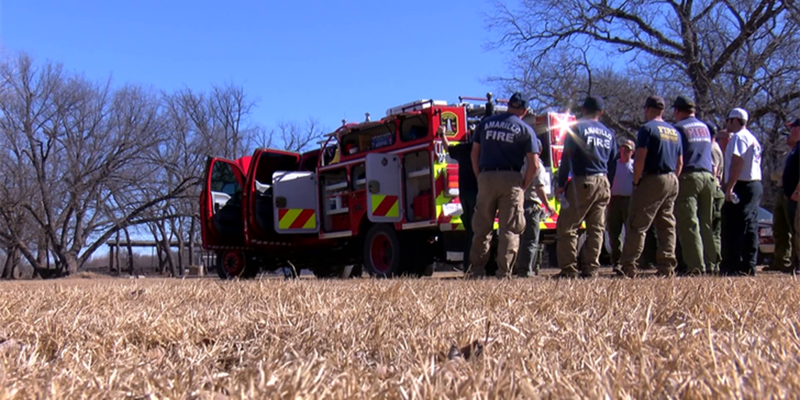 BURKBURNETT, Tx (RNN Texoma) - Numerous firefighters were out in Burkburnett Wednesday afternoon getting some training on a new brush truck the Burkburnett Volunteer Fire Department is adding to their fleet after long months of waiting. The brush truck was custom built by BFX Fire Apparatus out of Weatherford, Texas and took about a year to get it finalized. "It allows us to deploy statewide," Capt. Burchett said. "We can staff it with some volunteers and it can go out and assist other communities in other areas that are having wildfire threats." However Capt. Burchett said this would not have been possible without grants from the Texas A&M Forest Service, Volunteer Fire Department Fund by The Wichita Falls Area Community Foundation, and the city of Burkburnett. "Firefighting is an ultrahazardous environment," Capt. Burchett said. "It's dangerous so it's very nice and we're very grateful for these foundations, and grants because it puts the safety equipment on our trucks, it puts the safety equipment on our backs, and makes a dangerous job just a little bit safer for us." The Volunteer Fire Department Fund, by WFACF, helps rural and volunteer fire departments in 18 counties in Texas and 6 counties in Oklahoma. Most of these funds are collected through donations made by the community. These are donations that Zeb Parham, a Burkburnett volunteer firefighter, said can be very helpful when it comes to keeping them and the community safe. "It helps us with better equipment, and better training like where we are at today, to help the community faster and more efficiently," Parham said. The brush truck will be in service once their training is completed. If you want to make a difference and give to the Volunteer Fire Department Fund, click here.